Hi, I've only been on Casting Now for a few days, and have already been shortlisted for a product testimonial. I'm really impressed with the speed at which this has happened! If you are 16 or 61, young or old, fat or slim, fair or dark, if you wish to be on TV, you can really make it happen. There is no dearth of opportunities in the entertainment industry. TV has grown leaps and bounds over the years. Today, there are hundreds and thousands of shows that are being aired on satellite TVs, cable TVs, and national and regional TV channels. Those who wish to be on TV, can choose amongst reality shows, music shows, dance shows, magic shows, TV presenting jobs, comedy shows, family shows, and much more, depending on their individual interest and acting skills. All it requires to be on TV is to do the right thing at the right time. Meaning, you must keep yourself abreast with the TV presenting jobs, TV extras roles, and jobs in other TV shows and apply to the same to get an entry in to the fascinating world of Television. You must be wondering how you can know about the TV presenting jobs and other jobs in TV. Well, for that you just need to log on to www.castingnow.co.uk The website offers a quick, simple, and effective way to be on TV, as well as find roles in films, theatres, documentaries, modelling assignments, radio, and in other entertainment media. Here you will find a list of TV extras roles in famous TV shows, and jobs to host comedy shows, dance shows, singing competitions and shows. 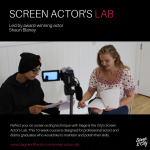 You may apply directly to these job opportunities or list your profile on the website to get noticed by the production houses, directors, and producers, and casting agencies looking for young or experienced actors to act in their shows. Both the ways are good and have great potential to help you be on TV. You would be glad to know that castingnow.co.uk does not charge any commission or fee to help its clients find TV presenting jobs and other work on TV and films. To be on TV, you just have to register yourself with the website by paying a nominal registration fee. Once the registration is completed successfully, you are free to access the job opportunities listed on the site and apply to the jobs that meet your needs and requirements. Be a TV presenter, host a comedy show, or participate in a reality show. The choice is all yours. So, what are you thinking? It’s time to be on TV and experience the arc lights, action, drama, emotions, romance, and much more offered by the world of Television.